Continuity: The first adventure featuring the Divinity. Synopsis: The Divinity. Since the dawn of time, these ethereal heralds have spread evil and chaos across the stars with their promise of religious salvation. An attempt by the Doctor to erase their malign influence from history served only to bring about eternal vengeance. For his sins, there will be retribution. On the planet Vortis, flowering jungles have become a battlefield for the warring alien armies of a bitter interplanetary conflict—the war between Rhumon Prime and New Rhumos. The fighting has led to the enslavement of the peaceful insectoid peoples of the planet, the Menoptera and the Zarbi. As Vortis is stripped of its remarkable resources and hope dwindles among its indigenous inhabitants, the Menoptera seek a prophet who fell from the stars to save their world during a time of peril long ago: the Doctor. Fate has returned the TARDIS to Vortis, for the Doctor knows the origin of the religious zealotry and primal superstitions fuelling this war. The Divinity have taken this fertile world as their own and all are powerless to resist their influence. After facing them, even the Doctor’s closest allies find their faith put to the test. 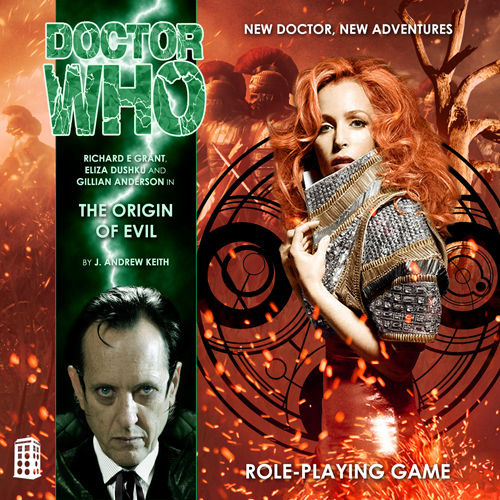 How much does Mohana really know about the shadowy figure known as the Doctor? How deep-seated is Selene’s misguided dedication to the Master? The fate of Vortis and the rebirth of the Divinity hinge upon the resolution of a power struggle that has long been brewing behind the battered blue doors of the TARDIS. Synopsis: At the Majestic, a condemned hotel in north London, the destitute and the dispossessed gather to seek refuge. They share a woeful lifestyle with the stray cats who roam the derelict’s dilapidated halls. When the Doctor, Selene, and Mohana arrive amid the driving rain of a winter storm, they find a people in desperate need of help but unwilling to place their trust in strangers. One by one, the squatters of the Majestic are being subdued, rendered comatose by an unrelenting telepathic force. 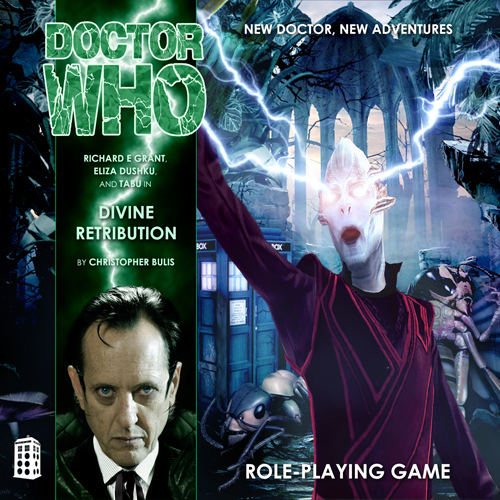 Struggling to rally this fractured community, the Doctor and his companions witness a terrifying shift in the status quo: as men and women lose their minds, the feral cats of this forgotten place gain in strength and power! IT HAD been hours since they’d returned to the TARDIS. With the Emperor Claudius left cowering in his field tent, drenched in sweat and pleading for mercy, the Doctor’s work in Roman Britain was done. He was standing at the console now, a hunched and shadowy shape flipping switches with the verve of a man possessed. The control room echoed with the beeps and pings of the time capsule’s petulant computer. To Selene, such noises were a sort of birdsong, not a distraction or annoyance. The Doctor was in a particularly snippy mood, however, and he had made it clear that he did not need her help. Instead, she had forged ahead with her own pet project—the repairs to the Master—and, after countless hours of anticipation, it seemed the android was at last on the cusp of reactivation. Synopsis: England. 43 A.D. Titus Flavius Vespasian has gone missing and the Second Augustan Legion faces a crushing defeat as its warriors die in waves. The barbarian hordes that oppose them possess uncanny strength and organization. 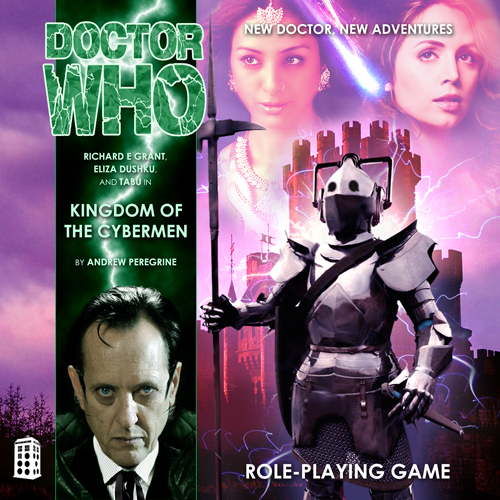 A rogue TARDIS has landed amid this bloody theatre of war and the Roman invasion of Britain has gone terribly wrong. The legionnaires speak in hushed tones of the Sacred Wood of the Britons, the fountainhead of otherworldly evils that has brought chaos to this land and seemingly sealed the fate of the empire. 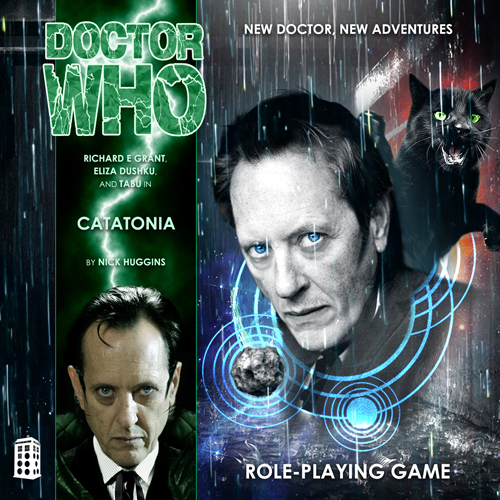 Joining forces with the Emperor Claudius, the Doctor and Selene set forth on an expedition to this fearful place. 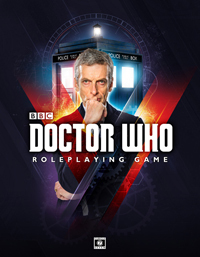 There, they will face one of the Doctor’s greatest foes, and the terrible secret that she possesses will redefine human history as they know it.